The director is putting together his ninth feature film, which promises to be a "unique take" on the Manson Family murders. When Quentin Tarantino comes knocking, you answer the door. If that’s not an unspoken rule among Hollywood actors, then it very well should be. Tarantino has given movie history badass female protagonists like The Bride and Jackie Brown and wicked villains like Hans Landa and Calvin Candy. Even his cameos often pack more of a wallop than other director’s leading roles (see Michael Parks in “Kill Bill Vol. 2” and Jonah Hill in “Django Unchained”). All of this is to say the obvious: Tarantino creates unforgettable characters, and it wouldn’t be in your best interest to pass on it. Tarantino is prepping his ninth feature, and if his earlier claim that he’ll retire after 10 films, this one will be his penultimate movie. Working once again with Bob and Harvey Weinstein, the untitled script promises to be a “unique take” on the Manson Family murders. Production is aiming to kick off in summer 2018, and the best tidbit to emerge is that Tarantino has reportedly met with two A-list actors for roles: Brad Pitt and Jennifer Lawrence. Pitt’s work in David Michôd’s Netflix war film tried to channel the same satirical lunacy he perfected in “Basterds,” but Michôd’s wavering tone made Pitt feel like he was acting in a completely different movie. Pitt showed up with a layered caricature that would make Peter Sellers proud, but Michôd couldn’t resist grounding the film to bring a sense of realism to his anti-war themes. 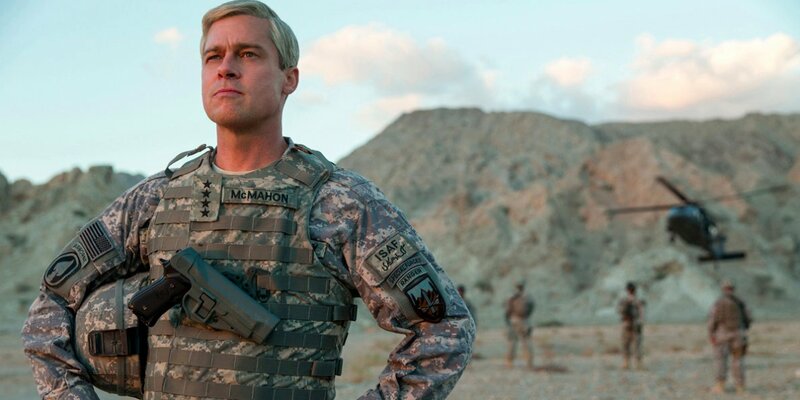 “War Machine” could have popped with the right director, but instead it got stuck in a tug-of-war between the movie’s serious overtures and Pitt’s role. The same exact issue plagued Pitt’s work in Robert Zemeckis’ “Allied.” The WWII espionage thriller was an Old Hollywood throwback to a time when big movie star personalities carried entire pictures. But Pitt was giving an introverted 21st century movie star performance (think Daniel Craig in James Bond) in a film that required a 20th century Cary Grant. No wonder the actor felt so wooden and devoid of any charisma. Zemeckis clearly intended for “Allied” to be a classic Hollywood two-hander with a modern introspective edge, but that clash of tone once again made Pitt feel like he was in an entirely different movie. The actor is coming off back-to-back starring roles that haven’t registered with audiences and critics because his work stood in counterpoint to each film’s tone. This is more of the director’s doing than Pitt’s, which is why filmmakers like David Fincher, who is set to work with Pitt for a fourth time on a “World War Z” sequel, and Tarantino are the collaborators he needs most right now. These directors simply don’t make tonal mistakes. They cast actors to fit a specific vision. Saying “yes” to Tarantino guarantees we’ll be seeing Pitt in a movie that optimizes his strengths as a performer, rather than working against them. The actress’ work with Russell proves she’s at her most dynamic when she’s got a fire lit under her that forces her out of her comfort zone. It’s safe to assume Tarantino is that fire and then some. Just listen to Jamie Foxx’s explicative-filled set stories from “Django” for proof. And that’s really what Lawrence’s career could use right now. She’s been coasting on autopilot in the “X-Men” franchise, and her work on the blockbuster flop “Passengers” was the kind of reliable movie star performance that earns a big paycheck but doesn’t necessarily expand one’s talents. Auteurs like Aronofsky and Tarantino would no doubt force Lawrence to try something different that could really take her career to the next level. Tarantino’s Manson movie is currently at the top of Hollywood’s radar, and sources say Margot Robbie has even been approached for the role of Sharon Tate. After eight movies and 25 years of classic movie characters, Tarantino has earned the right to approach any movie star he wants. Of course it’s smart for an actor to sign on, but in this case both Pitt and Lawrence are at the moments in their career where joining Tarantino is smarter than usual. Let’s hope they answer the call.